This afternoon, enjoy a tour of the tropical city of Darwin. Take in the mixture of old and new architectural styles of buildings such as the NT Parliament House and the old Government House. See some of the devastation caused by Cyclone Tracy and later, enjoy a special dinner with your fellow travellers before retiring to your accommodation for the night. 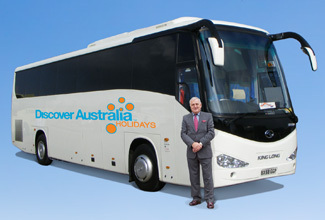 Luxury Coach Tour, Special Dinner, Overnight Darwin Accommodation. Breakfast, Kununurra City Tour, Special Private Dinner, Overnight Accommodation. Breakfast, Hoochery Distillery Tour, Morning Tea, Dinner, Overnight Accommodation. Breakfast, Chamberlain Gorge Cruise, Dinner, Overnight Accommodation. After breakfast, travel through spectacular landscapes to the coastal town of Broome. After exploring the sights of Broome on your township tour, end your day by relaxing with a drink as you watch the sunset over the Indian Ocean before dinner. Breakfast, Broome City Tour, Dinner, Overnight Broome Accommodation. 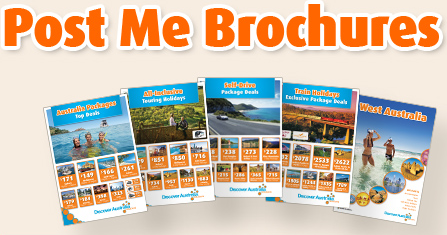 Explore Broome at your own pace today. Get picked up from your central Broome hotel and transferred to Broome airport for your flight home. You will be personally met at the Darwin airport by a DISCOVER AUSTRALIA representative and transferred from the airport to your hotel. You will also be transferred from your hotel to Broome airport to meet your flight home. The Darwin to Broome Luxury Kimberley Coach Touring is very popular. Many dates book out well in advance, please book soon.